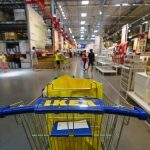 IKEA kitchens are great for homes both large and small. No matter how small your kitchen is, we can help you get an IKEA kitchen that fits your home and looks good doing it too. 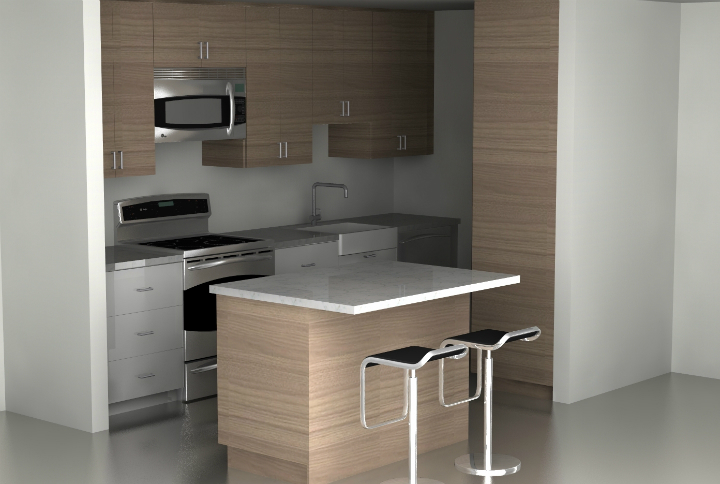 It’s fun to design small IKEA kitchens because it’s always a little bit of a challenge. Our IKEA kitchen designer Frank just knows how to get the most storage and function out of the smallest kitchen spaces. And our IKEA kitchen designer Eric always keeps a close eye on the walkways in his IKEA kitchen designs to make sure there’s always enough room for the cook. 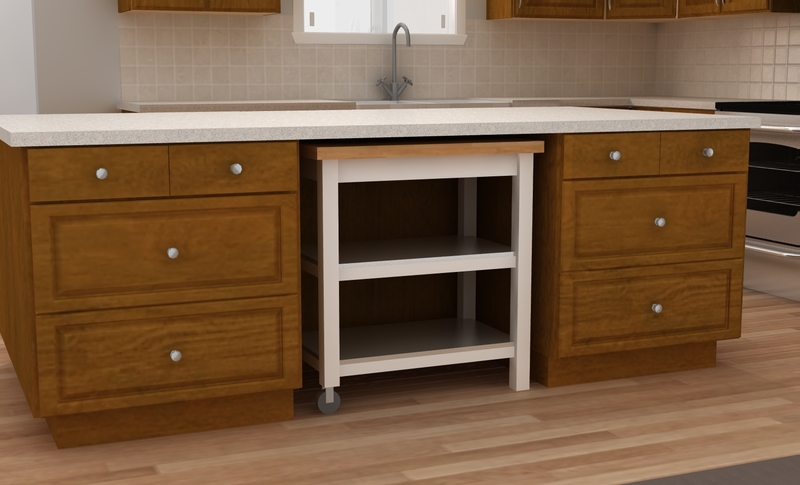 The more counter space you have in your IKEA kitchen, the more work space you have. You need to be able to roll out cookie dough, and have a place to put a cookie sheet after you take it from the oven. Get our tips on the surprising ways you can increase your counter space in a small IKEA kitchen. If you’re willing to get more creative with your IKEA kitchen, you can achieve maximum storage! If you have room for a kitchen island, consider open shelving and baskets, or even a bookcase. Read more of our 5 creative ideas for small kitchens. 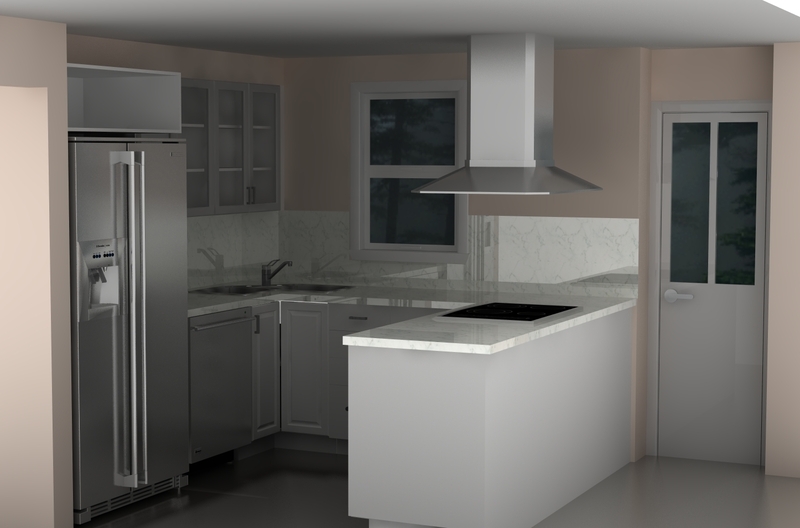 Shallow-depth base cabinets, like the ones you see above, help small kitchens create wider walkways for the cook. With this option you might be able to fit in a kitchen work triangle which is the preference for any serious chef. 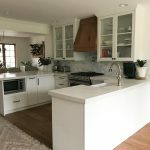 Discover how you can find these shallow kitchen cabinets on the IKEA website, and 2 other ways you can use them in your kitchen. Many homeowners dream of adding an island to their new IKEA kitchen. Unfortunately, this is not always a good option for some kitchens. But how can you be sure? Read our handy measurement guide to figure out if your kitchen can handle an island. When you have a small kitchen, you need to squeeze out every drop of storage you can. This IKEA kitchen hack turns that dead space above the refrigerator into attractive storage with a horizontal cabinet. Get the instructions for this horizontal refrigerator cabinet hack. Adding mirrors to your home is an old design trick to make a small space look bigger and add more light. This look won’t be for everyone…but our customers always surprise us! Find out how to turn glass IKEA kitchen cabinet doors into mirror-front doors. 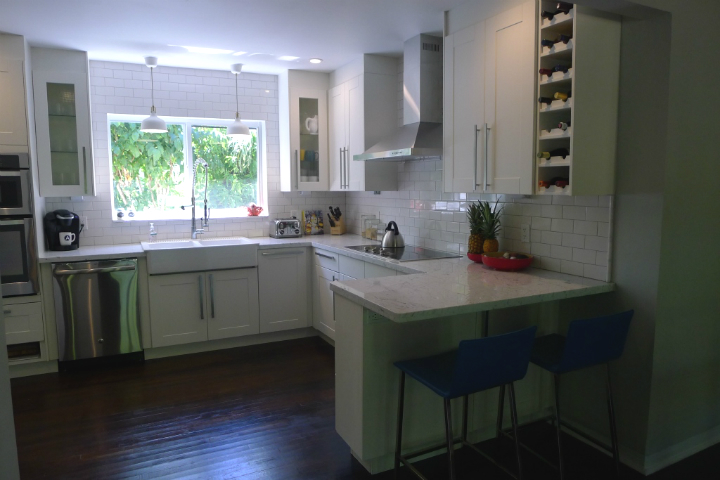 Including open shelves in any kitchen design is a controversial decision. You either love them, or you hate them. Open shelving can definitely add a feeling of more space in a small IKEA kitchen. Read more about the pros and cons of open shelving in the kitchen (and if you want to add your own thoughts, please do!). A picture is probably worth a thousand words in this case. Get the skinny on increasing your counter space with an IKEA cart. Our customer desperately needed more storage space in her small IKEA kitchen. One of the best changes was integrating the appliances. See more from this small IKEA kitchen design.